This shrimp salad is a snap to fix and makes a great lunch or dinner for summer weather -- or double or triple the recipe for a potluck take-along. Small wild gulf shrimp -- 51/60 count -- is perfect for the recipe as written. For sandwiches or larger shrimp, you could chop them coarsely before mixing with the mayonnaise. In a bowl combine the cooked shrimp, diced celery, diced cucumber, dill weed, lemon juice, mayonnaise, and sour cream, to taste. Stir gently to combine thoroughly. Chill until serving time. 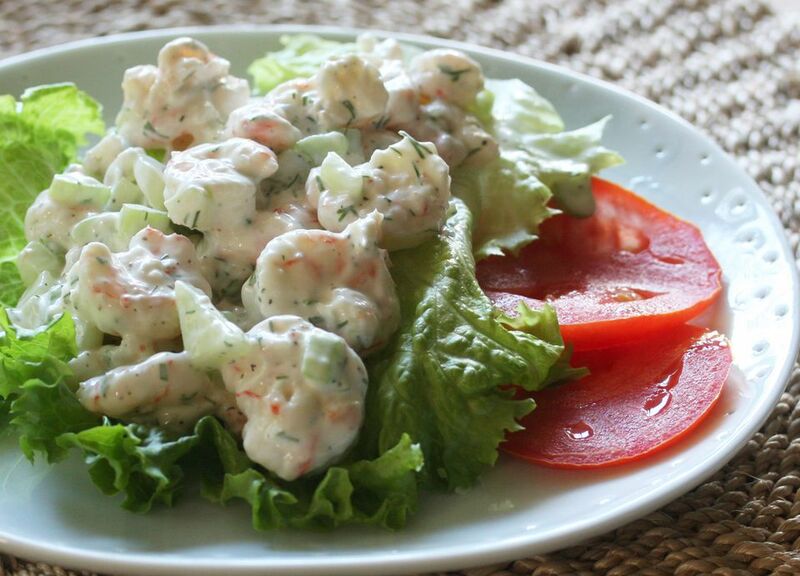 This shrimp salad is great served as-is on lettuce or serve it as a sandwich filling in soft rolls or buns.